Jonathan Force, MD is a Board Certified Anesthesiologist with over ten years of experience. As the managing partner of Klarity Clinic of Denver, he applies his extensive operating room experience with ketamine to treating patients with major depression, anxiety, PTSD and addiction. He is also a BR+NAD provider, certified to administer the highest purity formulation of NAD+ available. After obtaining his dual degrees in Microbiology and Psychology from the University of Idaho, he made strides in both laboratory science and the medical industry before finding his role as a physician. Upon completing his residency at Henry Ford Hospital in Detroit, he practiced in Eugene, Oregon for 5 years before finding his way back home to Colorado. 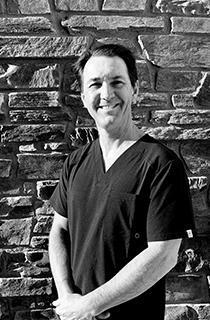 He has been a respected anesthesiologist in the local community of Denver for the past 6 years. In his free time, Dr. Force is an avid outdoor enthusiast and parent of two children. His interests are varied but one can find him cycling as easily as a skiing down a snow capped peak.